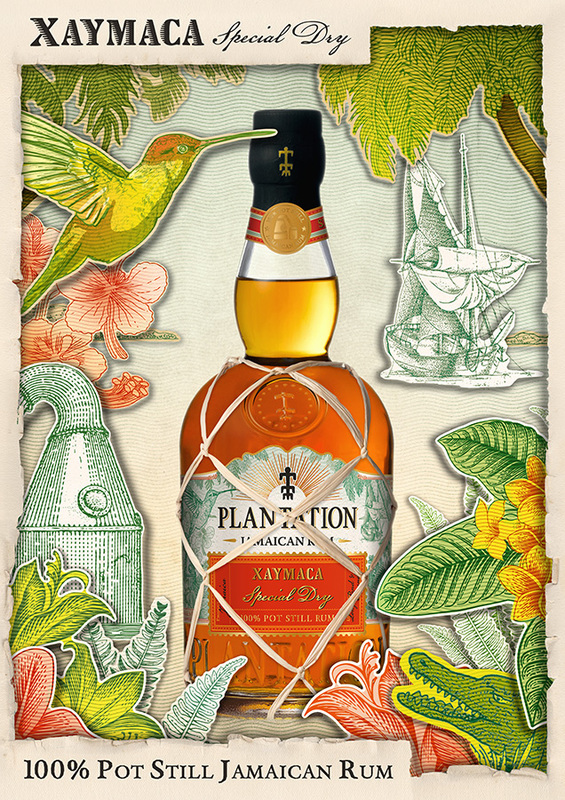 With Xaymaca Special Dry, Plantation revives the quintessential Jamaican-style, 100% pot still rums of the 19th century with an expression of intense flavors that reveal the traditional, legendary « Rum Funk » : aromas and flavors of black banana and flambéed pineapple, locally called "Hogo," an Anglicization of the French term "Haut Goût" (high taste). "With Xaymaca Special Dry, I wanted to dive into the iconic culture that is unique to Jamaican rum. I wanted to work with these complex flavors of overripe exotic fruits with an almost "animal intensity". We can still find certain white rums with this famous « rum funk ». I think, however, that this great terroir expresses itself perfectly in an aged rum. That is why we are launching Xaymaca Special Dry, which is a tribute to this ancestral culture of rum" explains Alexandre Gabriel, Master Blender and creator of Plantation Rum. Xaymaca evokes the name given to the island by its first inhabitants, the Arawaks. This nectar is a return to the origins of Jamaican rum, in all its complexity and intensity. With its latest investment in the Caribbean, Plantation now owns a third of the mythical "Long Pond" and "Clarendon" Jamaican distilleries. Thanks to these exceptional production tools, Alexandre Gabriel made his dream of blending a 100% pot still Jamaican rum a reality. "The access to these 2 emblematic distilleries with their retort stills, which look like ancient pachyderms, is the realization of dream. It allowed me to dive into this ancestral tradition and create a rum that I had wanted for a long time." Xaymaca Special Dry is a blend of rums distilled in the old John Dore pot still at Long Pond and the Vendome at Clarendon. The idea is to boldly assert the powerful and expressive character of these rums. Nose : Very complex, slightly smoky and meaty with fruity, herbal and sour notes building up. Next vanilla come forward, almost pastry-like, with cooked banana, bitter orange peel and ripe pineapple. Palate : Dry, with a more floral and fruitier profile of rose water, soursop, pear, white grape, apricot and sugar-apple. Next some coconut milk, balsam, allspices, bread and nuts emerge. Xaymaca Special Dry is an excellent tasting rum, to be enjoyed like a great dry whisky or with a large ice cube and even a splash of pure water to reveal its smoky aromas. It is also delicious in cocktails, the signtaure is the Xaymaca Collins. For a refreshing drink, pour 5 cl of Xaymaca Special Dry, 2 cl of simple syrup and 2 cl of lime juice into a glass filled with ice cubes, stir and drink!